Condition. 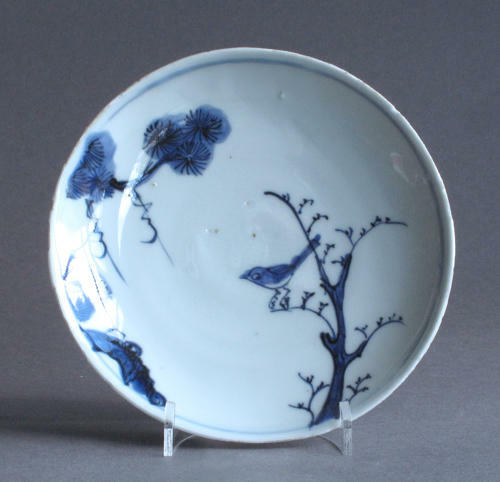 This dish is in good condition, with glaze fritting around the rim, as is frequently found on these ko-sometsuke wares, and with one very small rim chip (shown in our close up photos). There are two shallow chips from the inside of the foot rim, which can be seen in our photos.